Ph.D. Urban and Regional Planning, Universiti TeKnologi Malaysia, Johor Bahru, Malaysia, 2011-2015. M.Sc. Urban Design and Conservation, Universiti TeKnologi Malaysia, Johor Bahru, Malaysia, 2008- 2010. B.Sc. Architecture Engineering and Environmental Design, Arab academy for science and technology and maritime transport, Alexandria, Egypt, 2001-2006, Accredited by the Royal Institute of British Architects (RIBA), RIBA1 and RIBA 2. High School Diploma, Architecture Engineering, The first industrial institute, Taiz, Yemen, 1995-1998. 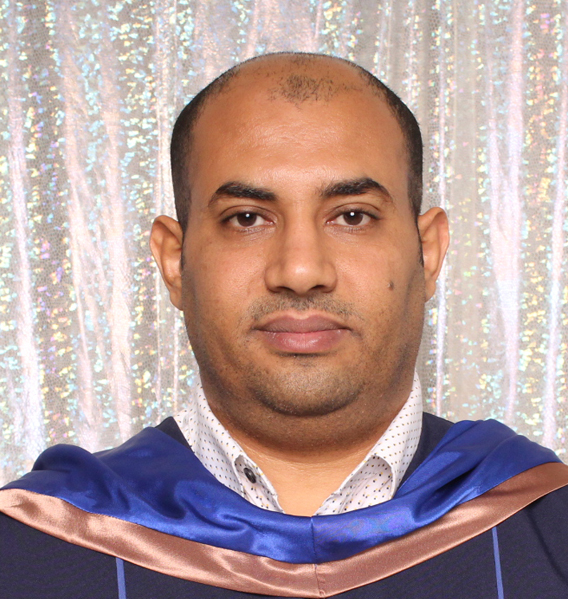 2017 – Present: Assistant Professor, College of Architecture Engineering and Design, Kingdom University, Kingdom of Bahrain. 2015 – 2016: A Post-Doctoral Researcher at UTM, Faculty of Built Environment. 2011 – 2015: Assistant Researcher in a Project of "Putrajaya Urban Heat Island", funded by Institute Sultan Iskandar Malaysia. 2010 – 2011: Working as an architecture designer and supervisor of project execution in Sana'a, Yemen. 2006 – 2007: Working as a designer and supervisor of project execution in Sana'a, Yemen. Qaid, A., Lamit HB, Ossen DR, Rasidi MH (2017) Effect of the position of the visible sky in determining the sky view factor on micrometeorological and human thermal comfort conditions in urban street canyons. Theor Appl Climatol:1-18. doi:10.1007/s00704-016-2023-3. Qaid, A., Bin Lamit H, Ossen DR, Raja Shahminan RN (2016) Urban heat island and thermal comfort conditions at micro-climate scale in a tropical planned city. Energy and Buildings 133:577-595. Ahmed, A., Ossen, D., Jamei, E., Manaf, N., Said, I., & Ahmad, M. (2015). Urban surface temperature behaviour and heat island effect in a tropical planned city. Theoretical and Applied Climatology, 119(3-4), 493-514. Qaid, A., & Ossen, D. (2014). Effect of asymmetrical street aspect ratios on microclimates in hot, humid regions. International Journal of Biometeorology, 1-21. doi: 10.1007/s00484-014-0878-5. Ahmed, A., Ossen, D., Jamei, E., Manaf, N., Said, I., & Ahmad, M. (2014), Intra-urban air temperature in Putrajaya, Technical Report, submitted to FAB and ISI. Farea, T. G., Ossen, D. R., & Al_Ameri, A. Q. (2012). Bridging Between Old & New 2012 TRANSFORMATION OF BIOCLIMATIC DESIGN STRATEGIES FROM OLD TO NEW VERNACULAR HOUSES IN WADI HADHRAMAUT, YEMEN. Paper presented at the Bridging Between Old & New 2012.